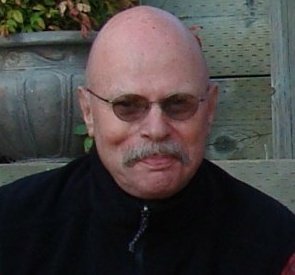 Lawrence Davidson was the founder of the Bookwaves program back in 1977 when it was called first Probabilities Unlimited and later Probabilities. The science fiction book-buyer at Cody’s, he was approached to host a program about science fiction on KPFA. Bringing in his friend Richard Wolinsky for the second program, the two hosted several shows before they were joined by Richard A. Lupoff, who continued to co-host the program until 2001 when the show became known as Bookwaves. Lawrence left Probabilities in 1989, but continued working at Cody’s until the store went out of business in 2008. He leaves behind friends and family in New York and on the West Coast, and two elderly cats, both of whom need adoption (hint, hint).